The John Deere Model 550A's have oil type steering clutches and use 8 Friction discs p/n T82355 composite paper faced discs on a steel toothed base along with 8 steel separator plates p/n T31732. When later JD models were developed they used bimetallic discs to replace the earlier style fiber discs. Some owners prefer the earlier bimetallic friction discs. The bimetallic disc part number is T44129. This was replaced by the paper faced friction discs T82355. Some owners still prefer the Bimetallic discs so it is your choice. The same numbers of discs were used in all circumstances. Most of the time you can get by with only changing the friction discs. The steel separator plates can usually be re-used. 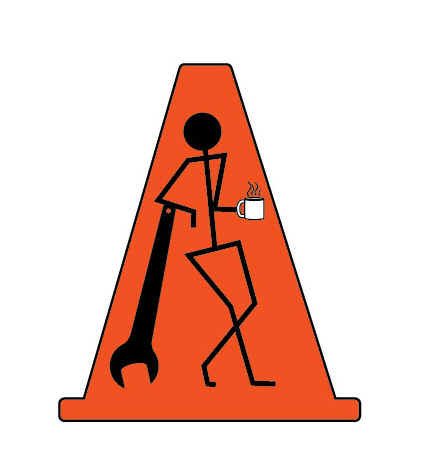 Check them for roughness, warping, or dishing and if they are clean, smooth, and straight, by all means re-use them! All items below are in stock and if you would like to get any of them on the way just let us know! If you are in the US you may call 1-800-531-9021 or if you are outside the US, 1 208 342 8911. You may alsoemail steeringclutch@gmail.com for orders/questions. T31732 steel separator plates,(8) required, $12.00 EA. 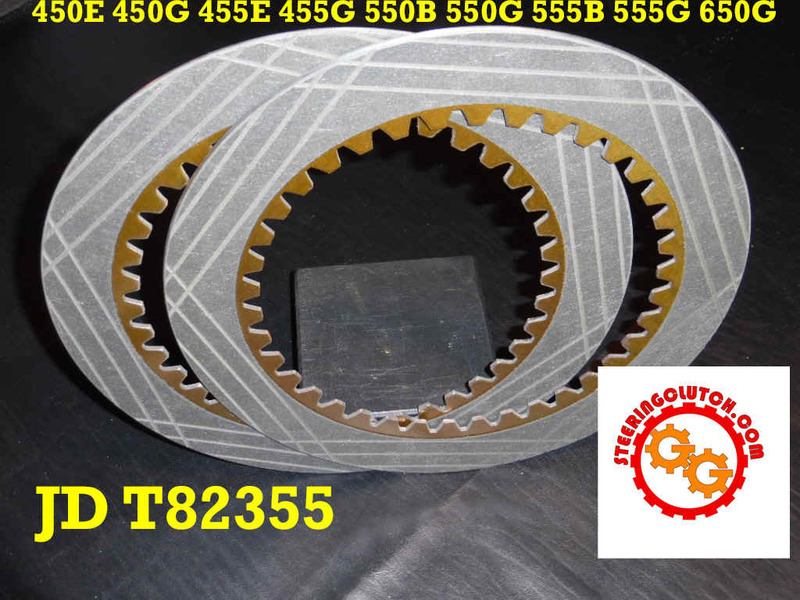 The T20717 steel separator plates(used in the earlier JD450's) are often confused with the T31732 plates used in the later steering clutches of the JD500's. To be sure which plates you have in your clutch the thickness should be measured. The T20717 will measure closer to .087 while the later T31732 discs will be closer to .097-.099. If the quantity of your discs varies from what is normally required, it is usually caused by the mis-use of the wrong steel separator plates. 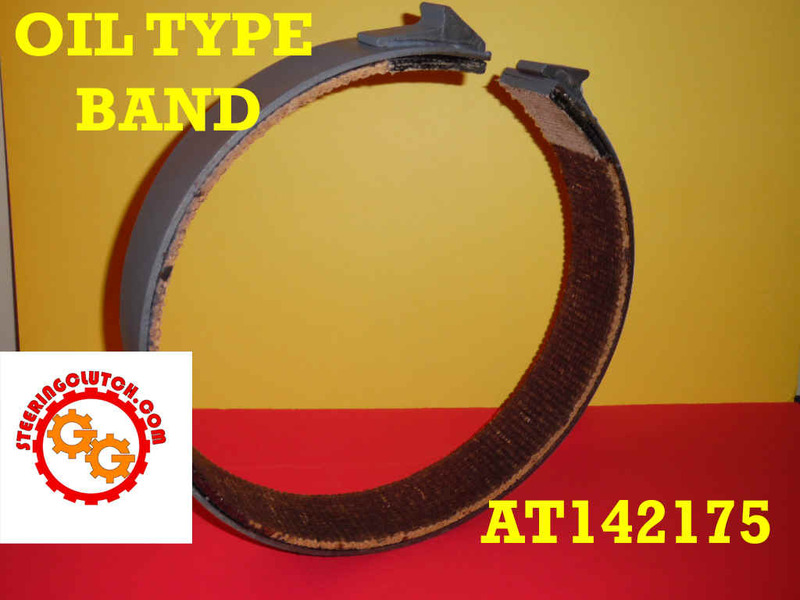 BRAKE BAND...AT142175 ONE PIECE BAND DESIGNED FOR OIL TYPE STEERING CLUTCHES ......$185.00 ea plus UPS/FedEx shipping of $20.00 in the US. These will not ship via Priority Mail Flat Rate boxes but for rush shipping, Priority Mail of $35.00 in the US. NO CORE CHARGE!